Meet Liora! Isn't she just the cutest thing ever?! I swear this little girl gets more adorable each time I see her. She just turned 12 months old so I ventured down to Lakeville to photograph her sweet face + hang out with her super fun parents. It.was.a.blast. I first met Liora's mom + dad at their outdoor maternity session and had so much fun getting to know them. 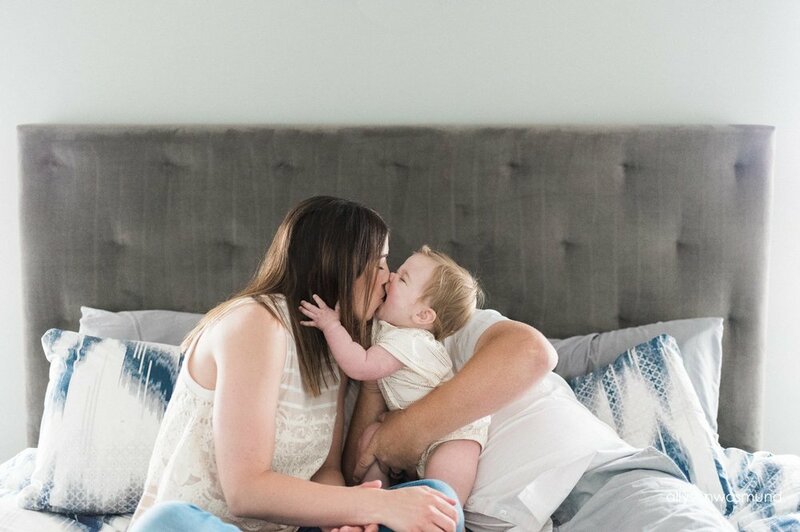 We instantly hit it off, which in turn made me eager for their in-home lifestyle newborn session. That too was amazing!! 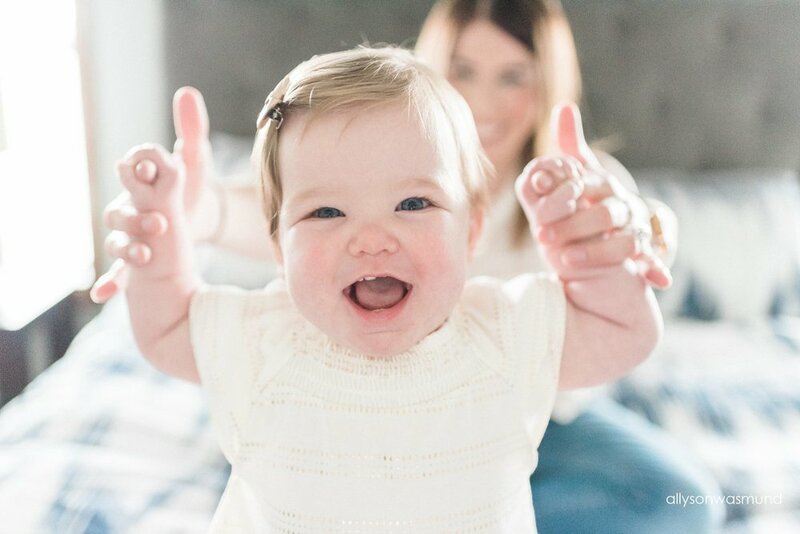 I was invited back to photograph Miss Liora's 6 month milestone session - again, the best time (and some of my all-time favorite photos!) So as you can see, a beautiful friendship formed and I just absolutely LOVE this family. Love. This session we started in the master...the very spot we started the newborn session. It made my heart so happy to bring everything full circle. 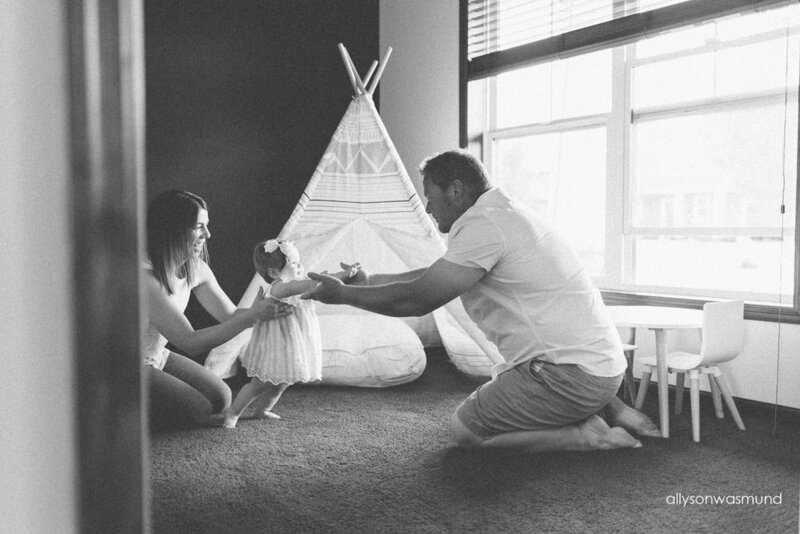 Next we did a few photos in the nursery then we moved to Miss Liora's brand new play room - complete with a tipi. It's the perfect space for her to grow + play! And you just can't go wrong with a tipi, right? Ahh!! Loved it! Lastly, we finished the session with a cake smash...well, we tried anyway. 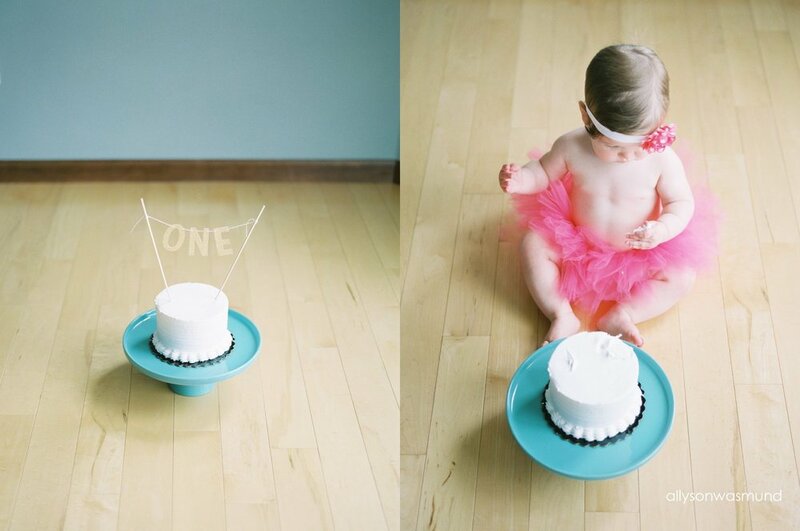 Liora wasn't a huge fan of her cake (which sometimes happens!) so she had a puff-snack-cake-smash instead. 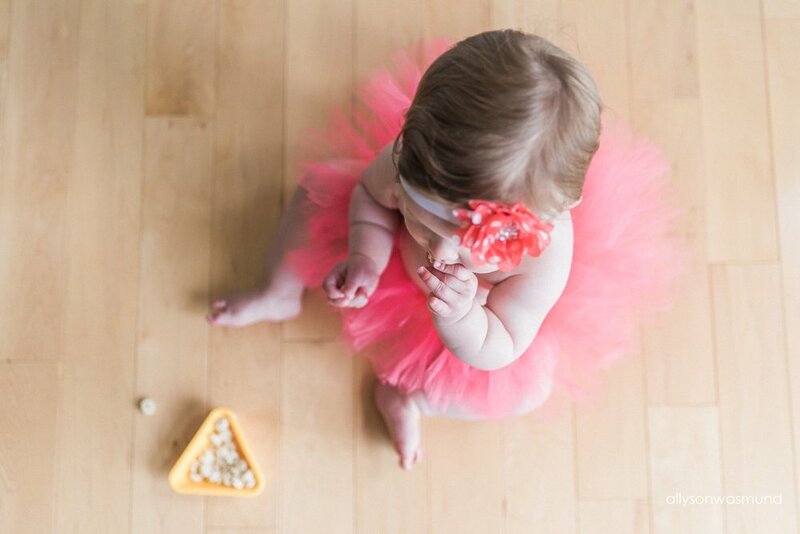 It was adorable watching her eat her puffs in that amazing pink tutu! 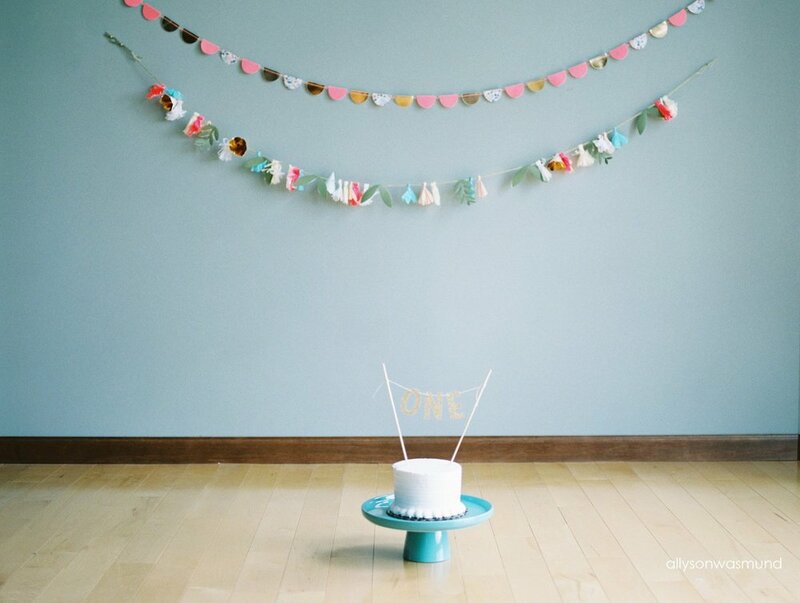 The light was perfect where we set up the cake smash, so I decided to try out some film again. And once again I got the scans back + I wished I would have taken more. 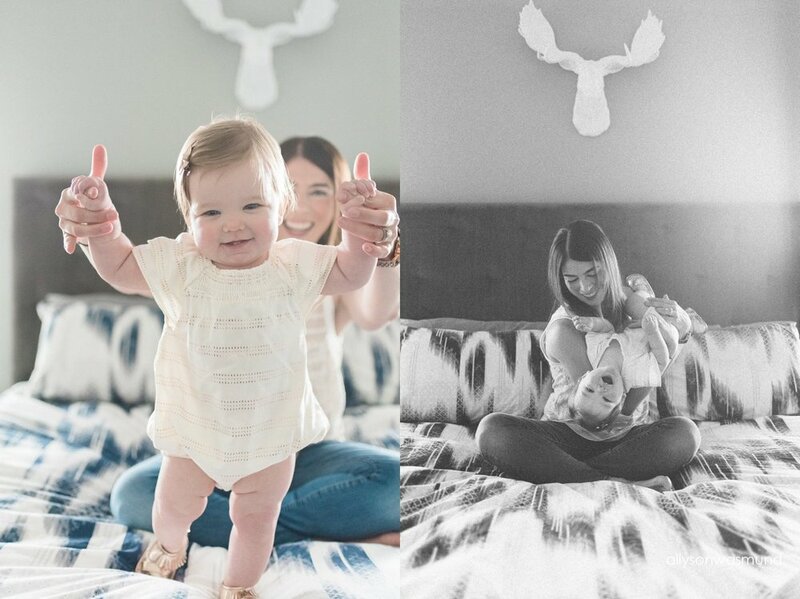 Babies on film...is there anything better?? Nope. Wishing these guys all the best as they venture into toddlerville with Miss Liora. It's going to be so much fun! Allyson Wasmund Photography is located in Saint Paul, Minnesota and specializes in outdoor maternity + in-home lifestyle newborn photography. Please visit HERE to learn more. The schedule is filling up fast with fall maternity + newborn sessions. Send a message today to reserve your spot!